Very friendly staff. Good food & decent beer and wine selection. We're glad we tried Stones. 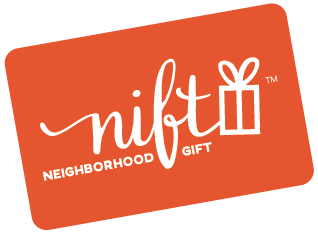 We hadn't heard of it prior to receiving the Nift. The food, drinks, and server were all good. The only part that was a little difficult was that the server had to take our cell phone in order to process the Nift code. The lock screen kicks in after a minute and she had to keep coming back to the table to have us unlock it. Everything worked out ok in the end but it made the cashing out process a little difficult. Very, very friendly and professional staff. Really warm atmosphere. A little loud with live music, but overall with delicious food loved it there!!! Food and drinks were great! We will definitely return. Both tge food and service were excellent. Fabulous veggie burger and excellent homemade fries. The calamari was excellent, however portion size was very small for the price ($13). Putting the calamari on a bed of lettuce to make it look like more doesn’t fool anyone. This place was amazing! I went with a few friends for brunch and it was delicious. Server was friendly and helpful! Will be going back to try the dinner menu! Uniquse, great tasting food with elegant presentation. Kyle was an excellent server, answering all our questions and being very patient with us and our son. The food was delicious. My son "sampled" our Adult Grilled Cheese - meaning ate more than half of it - and then got another rather than the kid version. The brussel sprouts were my favorite, but the Foie Gras and chopped salad were also great. We will certainly be back - especially because I was not able to try a cocktail this time. The food was amazing and the service even more incredible! A cute, trendy restaurant north of Boston!